Detangle & style, perfect for home or travel. 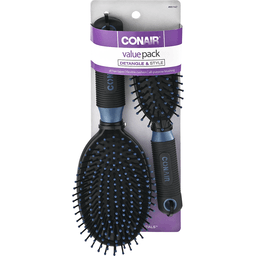 Conair has everything you need for beautiful hair. 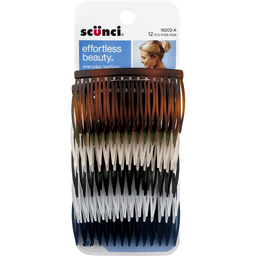 The cushion brush is specifically designed to gently untangle wet or dry hair without uncomfortable pulling. 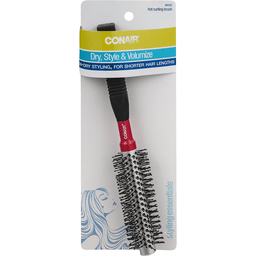 Smooth, ball-tipped nylon bristles let you comfortably style any hair length or texture. Create looks with lots of body and calm down overactive curls. 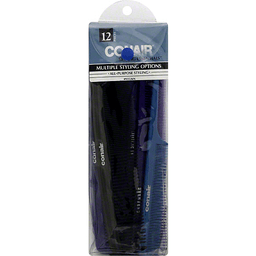 This set includes one full-size and one mid-size brush, both with grooved, nonslip handles for comfortable control. Full-Size and Mid-Size Cushion Brush Set: Full-size for home, mid-size for purse or travel. Taking care of hair for over 50 years. Made in China. 4: Screaming Hold: Spike; Grip; Chunk. 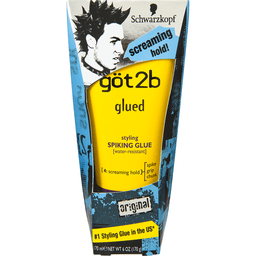 No 1 styling glue in the US (Based on IRI Data). New & improved formula. Create spiker styles! It's for hair that ain't goin' nowhere. Push through hair to put it in place. 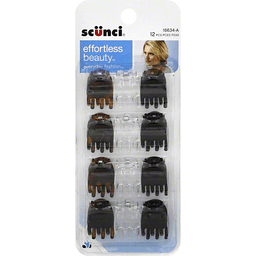 Twist tips into stand-up straight spikes or haphazardly distribute all over for that unstructured, messy look! 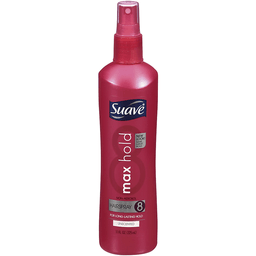 Delivers hold so strong - (it's wind-tunnel tested) your style will last until your next shampoo. And of course (we wouldn't forget this part) it's water-resistant. 24h hold. Anti-humidity. Bounce-back hold. With natural bamboo extract. Want workable hold without crunchy stiffness? 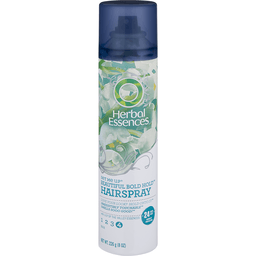 Flexible Control Hairspray is a versatile hairspray that provides the strong flexible hold you need, and the natural, healthy-looking movement you want. With 24-hour hold and anti-humidity protection, your style stays touchable all day long, even in extreme humidity. How does it work? Our strong, yet flexible formula, infused with bamboo extract, keeps you in control of your style for 24 hours. Added frizz control ensures bounce-back hold that lasts all day. Our light, sparkling fruity will leave your hair smelling fresh and vibrant. Meets all state and federal clean air standards. 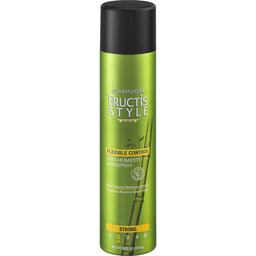 For more looks, tips and fun visit our style hub at www.GarnierStyle.com and follow us (at)GarnierUSA. www.garnierUSA.com. Made in Canada. Styles and conditions. Lightly. Styling made easy. Hold: Light. Finish: Natural. Length: All-lengths. Questions? 1-800-450-7580. Made in USA. 24h hold. Anti-humidity. 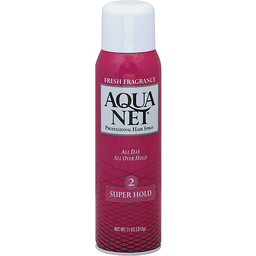 Frizz protection. 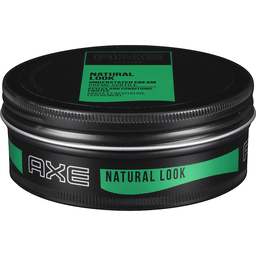 With natural bamboo extract. 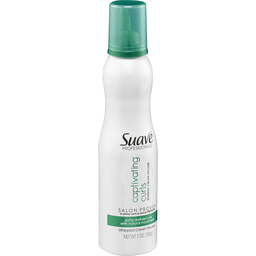 Want ultra smooth hair with all-day anti-frizz protection? Sleek & Shine Hairspray is a smoothing hairspray that provides an ultra-strong hold and an invisible shield against frizz. With 24-hour hold and anti-humidity protection, your style stays sleek and shiny, even in extreme humidity. How does it work? Our strong, yet flexible paraben-free formula, infused with bamboo extract, keeps you in control of your style for 24 hours. 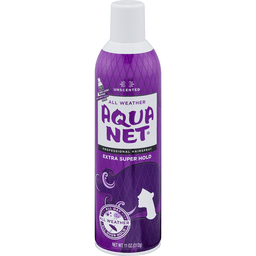 This formula works by wrapping the hair strands, creating an instant barrier against frizz for an ultimate smooth finish. Stay in control with frizz protection and bounce-back hold that lasts all day. Our light, sparkling fruity fragrance will leave your hair smelling fresh and vibrant. Meets all state and federal clean air standards. 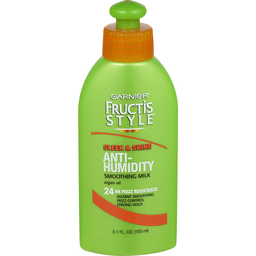 For more looks, tips and fun visit our style hub at www.GarnierStyle.com and follow us (at)GarnierUSA. www.garnierUSA.com. Made in Canada. 24 hour hold in 1 use. Hold Level: 3 maximum. 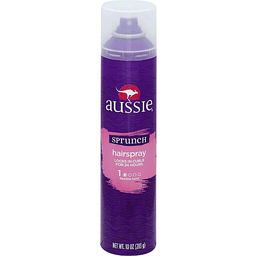 Made with Australian aloe, jojoba oil and sea kelp, this hairspray will give you a firm hold. www.aussie.com. Aussome hair made easy. Questions? 1-800-947-2656. Made in USA of US and/or imported ingredients. Locks in curls for 24 hours. Flexible hold. Hold Level: 1 - flexible. 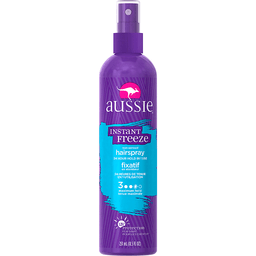 Made with Australian aloe, jojoba oil and sea kelp, this hairspray will help keep your curls in place for an ultra springy hold. www.aussie.com. Aussome hair made easy. Questions? 1-800-947-2656. Made in USA of US and/or imported ingredients. 24 hour humidity resistance. 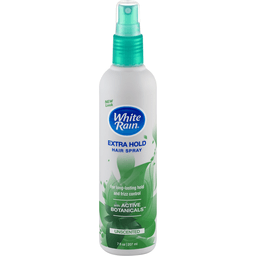 Humidity proof spray holds your hair in place without feeling stiff or sticky. Healthy hair does styling better. Questions? 1-800-945-7768 or visit www.pantene.com. Made in USA of US and/or imported ingredients. Ultra fine mist. Professional quality. Our Philosophy: From our origins in salons around the world, we have always been driven by a simple truth: every woman deserves to look fabulous without spending a fortune. 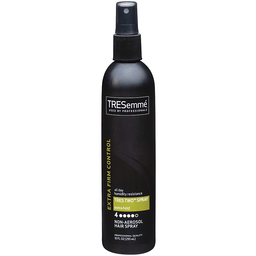 TRESemme is dedicated to creating hair care and styling products that are salon quality without the salon price. Salon inspired, stylist tested products to help you create your own style and experience that salon feeling everyday. TRESemme - Professional, affordable. This Product: TRES Two Ultra Fine Mist Spray will hold your style and make you feel in control of your hair all day long. This salon quality, lightweight formula has humidity resistance to defend against frizz and fly-aways holding your style from morning to night. This product is also quick-drying to give your hair the perfect amount of hold without the stickiness for that just-left-the salon look. No wonder TRES Two is Americas number 1 hairspray (IRI data, 52 wks, ending 12-19-10). This product is not tested on animals. Made in USA. 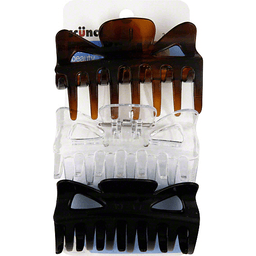 Mega sculpting for all hair types. Used by professionals. Holds for 24 hours in high humidity. Professional quality. Our Philosophy: From our origins in salons, we have always been driven by a simple truth: all women deserve to look fabulous without spending a fortune. 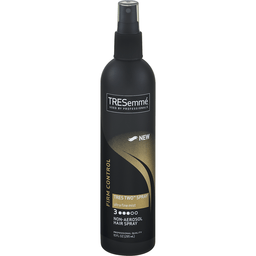 Tresemme is dedicated to creating hair care and styling products that are salon quality without the salon price. Salon inspired, stylist tested products to help you create your own style and experience that salon feeling every day. Tresemme - professional, affordable. 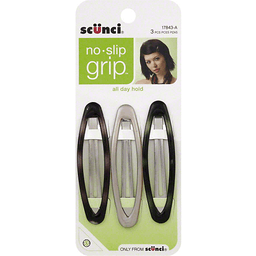 This product provides strong all-day control and 24 hour humidity resistance to lock out frizz and lock-in your style all day. 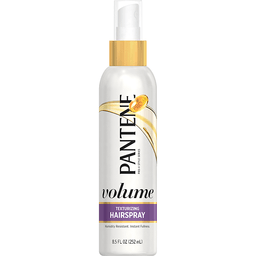 Its alcohol-free formula will give your hair the long lasting hold you need for salon-perfect style. Contact us on www.tresemme.com. This product is not tested on animals. Intended only for distribution in the Americas. Made in USA. Crystal clear. 14 hour hold. 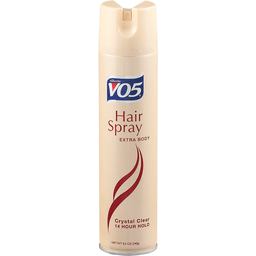 Alberto VO5 Hair Spray ExpressHold water-free formula locks in stronger hold instantly and dries faster. As always, VO5 provides crystal clear hold that lasts 14 hours, even in windy or humid weather. Contains no heavy fragrances. Long lasting 14 hour hold. Crystal clear for natural shine. Fast drying/not stiff or sticky. No residue/no flaking. 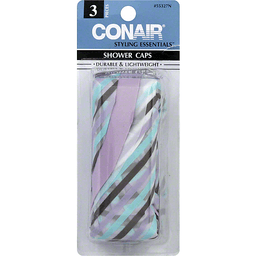 Anti-static/prevents fly-aways. This product is not tested on animals. www.vo5haircare.com. Made in USA. 24h Frizz resistance. Sleek: with argan oil from morroco. Get 24 hour sleek! 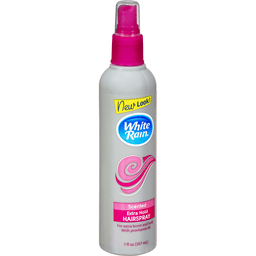 Anti-humidity smoothing milk tames frizz and fights humidity to keep hair smooth and silky. How Does It Work? This powerful smoothing milk, with argan oil from Morocco, fights humidity and combats frizz to smooth and tame unruly hair without weighing it down. 24h frizz resistance and smoothness! For other styles and tips, check out our how-to videos on www.garnierUSA.com. Made in Canada. 24 hour humidity resistance. Ultra fine mist provides maximum hold and dries fast so it's non-sticky. Resists humidity to control frizz and flyaways so your style always looks polished. Healthy hair does styling better. Questions? 1-800-945-7768 or visit www.pantene.com. Made in USA of US and/or imported ingredients. 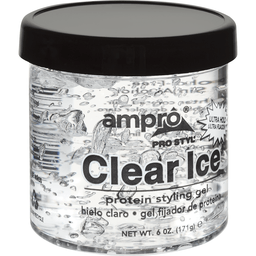 Ampro® Pro Styl® Ultra Hold Clear Ice® Protein Styling Gel. Non-greasy, will not flake. Alcohol-free. 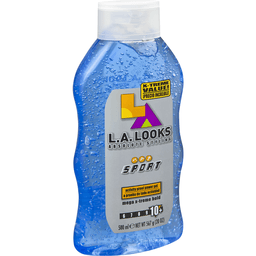 Adds body and sheen to gray, blond or lighter colored hair. www.amprogel.com. 1-877-267-7645. No tested on animals. Please recycle. Locks in curls for 24 hours. Hold Level: 1 flexible. 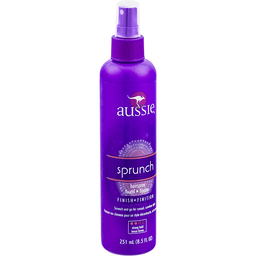 Made with Australian aloe, jojoba oil and sea kelp, this hairspray will help keep your curls in place for an ultra springy hold. www.aussie.com. 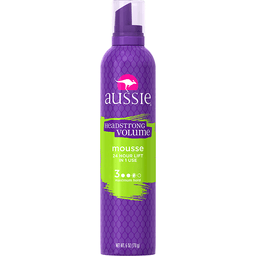 Aussome hair made easy. Questions? 1-800-947-2656. Made in USA of US and/or imported ingredients. Air spray. Healthy style & feel. 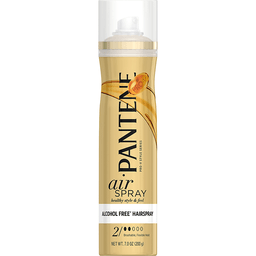 Alcohol free (Contains no ethanol) hairspray. 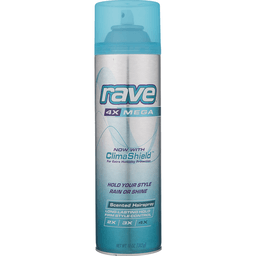 Ultra lightweight spray for a smooth controlled finish to your style. Alcohol free (Contains no ethanol) formula leaves hair feeling moisturized and silky soft for healthy style with body and bounce. Healthy hair does styling better. Stylist technique. Need to make a quick style change? Simply brush hair out, re-style, and spray again. No sticky residue! Contains no ethanol. Questions? 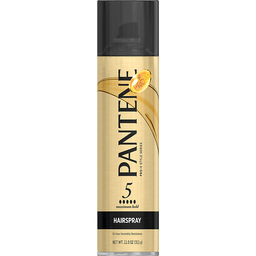 1-800-945-7768 or visit www.pantene.com. Made in USA of US and/or imported ingredients. 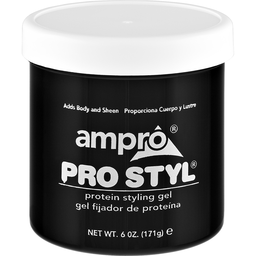 Ampro® Pro Styl® Protein Styling Gel. Adds body and sheen. www.amprogel.com. 1-877-267-7645. Environmentally friendly packaging. Non-greasy. Will not flake. Alcohol-free. Non-sticky formula. Soft, springy curls. 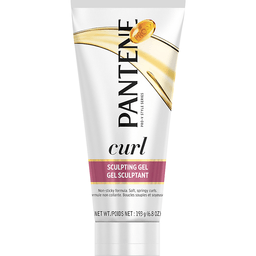 Moldable hold for sculpting curls and creating lasting definition. 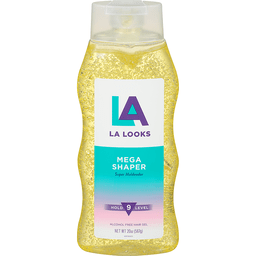 Micro-smoothers help tame frizz and fly-aways, leaving your curls touchable and bouncy. Healthy hair does styling better. Questions? 1-800-945-7768 or visit www.pantene.com. Made in USA of US and/or imported ingredients. 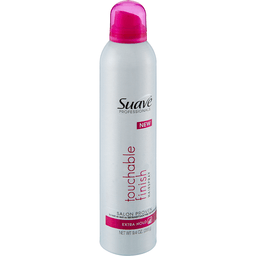 Suave® Professionals Boosting Mousse Firm Control. New look. Salon proven to volumize as well as sebastian® mousse forte. 24 - Hour hold. Zero crunch. Net Wt 7 oz. (198 g). 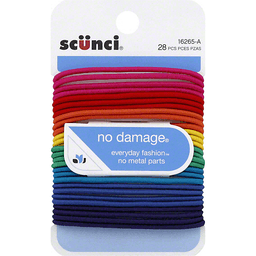 Helping America live beautifully since 1937. 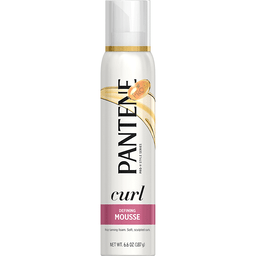 This lightweight, alcohol-free mousse, containing humidity defense complex, helps plump up the hair for added fullness. Professional Sebastian® is a registered trademark of the Wella Corp. The suave promise: We guarantee your full satisfaction. For details, Call us at: 1-800-782-8301 or Visit us at: www.suave.com. © Unilever. Salon proven to hold as well as Sebastian Re-Shaper (Based on salon testing using Sebastian Re-Shaper hairspray. Sebastian and Re-Shape are registered trademarks of The Wella Corp). 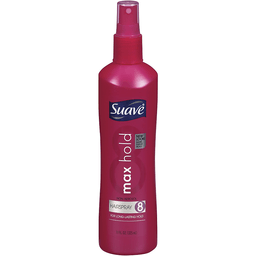 This firm hold finishing spray dries quickly on contact to lock in your style while remaining touchable. 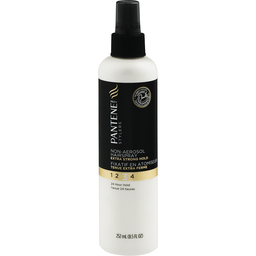 The humidity defense complex helps smooth away frizz and flyaways. 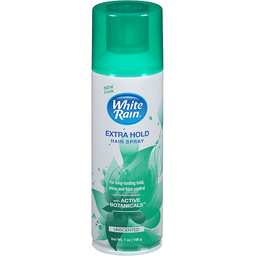 For long-lasting, fast-drying hold. Rethink salon hair. The Suave Promise: We guarantee your full satisfaction. Can is coded for recycling. Check if facilities exist as they may not. For details, visit www.suave.com or call us. For more stylist tips, visit - www.suave.com/styling. Made in USA. All day all over hold. 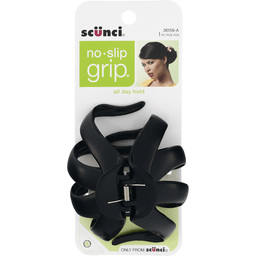 Super Hold provides added holding power for hairstyles that require more control. 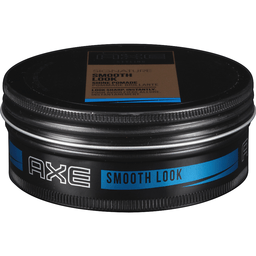 This special formula makes it easy to shape, define, and finish with a high-performance hold. All day hold for lasting control. 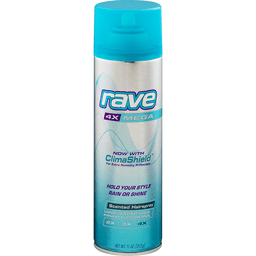 Gives your hair body and volume without being too stiff or sticky. Crystal-clear formula won't flake or build up. Contains no CFC's. Made in USA. 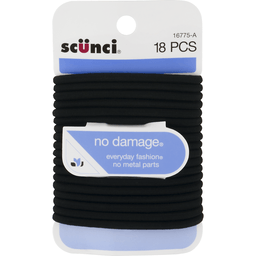 Protects against heat damage. Works with heat appliances. Professional quality. Heat protection up to 450 degrees F. Used by professionals. Our Philosophy: From our origins in salons in 1948, TRESemme has been driven by a simple truth: every woman deserves to look & feel fabulous, like they've just stepped out of the salon. 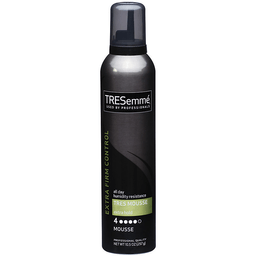 TRESemme is dedicated to creating haircare products that are salon quality. Inspired by stylists and tested in salons the products are designed to help you achieve salon gorgeous hair every day. TRESemme. Professional. At your fingertips. 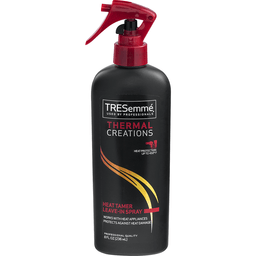 Why use Thermal Creations Heat Tamer Leave-In Spray? This product helps guard against damage from heat and friction caused by styling tools, helping to keep your hair shiny and soft. Instant preparation for all hair types and textures, this will enhance hair's flexibility to re-form and hold its shape without getting damaged. Now you can use heat like the professionals, creating the style you want without the damage. For more salon secrets from our stylists go to tresemme.com. Questions/comments? Contact us at 1-888-497-7054 or at www.tresemme.com. Made in USA.